Many of the candidates ABC Nanny Source represents are by far the best of the best Nannies in Fairfax County, VA! 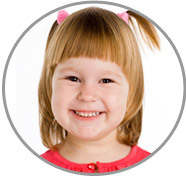 Karen enjoys caring for children of all ages with Nannies in Fairfax County, VA! "I am an energetic person who loves children! I enjoy reading to and playing with them in such activities as finger painting and making crafts, blowing bubbles, trips to the local playground, etc. I understand the importance of a loving home environment. As a teacher, I also understand the importance of education, even for infants. Allowing children to explore their environment on their own in a safe and nurturing way is important for their growth and development. I have several years of experience working with children, from birth through the teenage years. If I was asked to describe in one sentence the reason I have chosen to be in the Nanny profession over any other it would have to be because I love taking care of children. I have been serving in some form of childcare experience for over 5 years and can honestly say I love what I do! I feel the children are miracles. My goal as a Nanny is to protect and nurture all children in my care so I can help them grow and learn in a safe environment. I am willing to do housekeeping that includes cleaning up after the children and laundry. If I had to describe myself in five adjectives I would say that I am creative, patient, nurturing, loyal, and trustworthy. Activities that I would like to incorporate in the daily plan for the family I care for would include arts and crafts time, reading time, music time, outdoor play." "Karen was a wonderful preschool teacher! She was able to manage all of the children in her class very well even though it was, at times, a very difficult group. She is smart, creative, and the children found her to be incredibly fun! Karen is a very giving person. She would help me whenever I needed, even if I didn't ask. Karen was a great addition to our daycare, and I know she will be an even better addition to your home!" "Karen has helped me with my children on many occasions. She even lived with us for an entire summer, when I gave birth to my youngest son. Karen truly enjoys caring for and teaching children. In every circumstance, she went above and beyond the call of duty. My husband and I will be forever grateful to her! Since she has become a part of our lives, she and I have become very close. Even though she does not provide full time care for us now, she still is my go to person when I need childcare! Karen is the most qualified and dependable person in the industry. She will be a wonderful addition to your family!" "Karen is a very creative, patient and thoughtful person! I have left my son in her care consistently, and she has done a wonderful job taking care of him! I never worry about his well-being when she is with him. I know without a doubt that he will be happy and entertained! I have no hesitations or concerns when he is in Karen’s care. She is a very responsible person. Many times my son will even ask for her specifically, and she has come over to spend time with the whole family. She truly is a wonderful person and an exceptional nanny. She stands out among all the other Nannies in Fairfax County, VA."
"Karen is one of the most nurturing, responsible, and honest people I know! She absolutely adores children, and is both consistent and loving when it comes to everyday care. My children especially always look forward to having her around! She would make an excellent addition to your family, hands down. I am very happy with her and enjoy coming home to hear all the fun things my children did with her. One time in particular she even prepared dinner for the whole family, just to do somethine nice for our husband and I. We work long hours and I can't even tell you how delightful that evening was. It was such a blessing having Karen in our home."